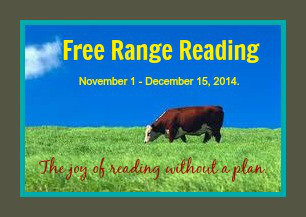 Free Range Reading is continuing! 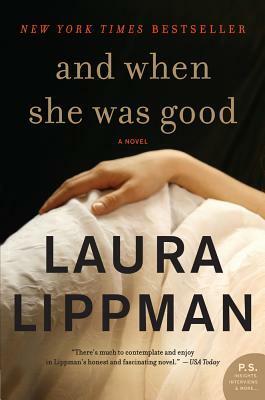 Book 2 is AND WHEN SHE WAS GOOD by Laura Lippman! This is the first Laura Lippman book that caught my attention- but the second book of hers that I’ve actually read. Confused? See, I kept seeing AND WHEN SHE WAS GOOD on blogger lists, in stores, and more- and I kept wanting to get my hands on a copy, But bookish fate just kept getting in my way- and I never did get a copy. Then I read her latest, AFTER I’M GONE- which further convinced me that I needed to get my hands on AWSWG. So, for my birthday- my family got me a copy. And, let me tell you, it was worth the wait. I was tense reading the book- Heloise had so many secrets- like a house of cards and I just couldn’t wait to see what would tip it over. I love how piece by piece of the story was doled out- and how Heloise learned she was not running quite as tight of a ship as she thought. All in all, I enjoyed AWSWG as my 2nd Free Range Reading selection!